Two local estate agents from Hibiscus Coast have been rewarded for being top achievers at the agency PropertyTime. 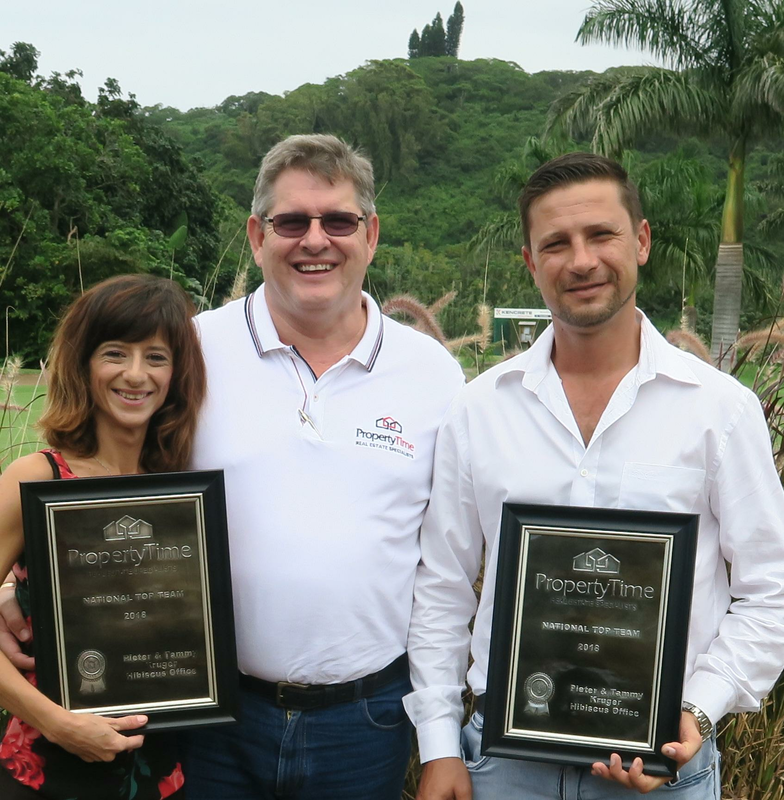 At a special awards brunch at Port Shepstone Country Club, husband and wife Pieter & Tammy-Leigh Kruger were presented with pewter plaques by Pierre Rousseau, founder and director of PropertyTime. Pieter & Tammy was awarded national top team for most sales, and both have been awarded several awards with PropertyTime since 2015. Says Rousseau, "PropertyTime gives recognition to its top achievers on a national level and being an agent myself, I do understand the hard work that is required to earn this award. "We as a company are proud to have Pieter and Tammy in the ranks, and as the father of this awesome team I most certainly push my chest a little further than normal"